Whether you're creating your own unique ring, or if you're browsing our beautiful collection of engagement or wedding rings, you'll notice that there are lots of different metals and materials to choose from. One of the most popular and enduring metals used in the construction of jewellery is gold. 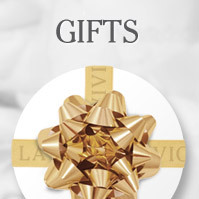 What Different Types Of Gold Are Available From La Vivion? 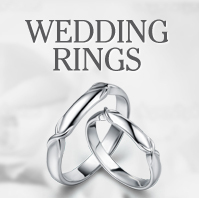 We craft our rings from numerous different materials. Each one has their own characteristics that set them apart from each other. At La Vivion, we design and manufacture a large collection our rings out of different varieties of gold. Gold is one of the oldest metals known to man. Since its discovery thousands of years ago, gold has been used to create stunning pieces of jewellery, as well as being the traditional material used to create wedding rings. Gold is naturally corrosion and rust resistant. However, it is one of the most malleable precious metals and as such it is often too soft for everyday use. That is why gold used in jewellery is often combined with different alloys to improve its resilience and lifespan. 9 carat = 37.5% gold. This is the UK minimum standard of gold purity. 24 and 22 carat gold are too soft for fine jewellery, but 14-18c is perfect. Yellow Gold – Natural gold and different colour-saturated alloys are used to create the warm and rich lustre of yellow gold. The most commonly used allows include red-tinted copper and green hued silver. Blending these two together with natural gold creates the timeless beauty of yellow gold. Rose Gold – Rose gold reddish hues come combining natural gold with a mixture of copper alloys. White Gold – White gold is characterised by its sleek silvery-white appearance. To create white gold, several white coloured metals are used as alloys. This is then plated with a hard element called Rhodium. Rhodium is used as it is extremely hard and durable compared to natural gold. Each piece's price will be dependent on a number of factors. As gold is a natural element, it will be damaged if you use harsh chemicals like chlorine or other cleaning products. Gold jewellery can be cleaned by avoiding these substances. Simply use warm water and detergent-free soap to soak the ring, and then gently scrub with a soft bristled brush. When not being worn, store your gold jewellery in a soft bag or the original case you received it in to avoid wear and damage. At La Vivion, we offer you pre-designed pieces of exquisite jewellery manufactured from gold, platinum and silver. 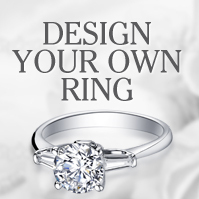 We can also help you design your perfect diamond rings, including engagement and wedding rings. Email us today at enquries@lavivion.com to learn more.